Location data is an increasingly important part of business intelligence. Companies use trend analysis to determine where to open new franchise locations or factories based on local economies, demographics and other factors. 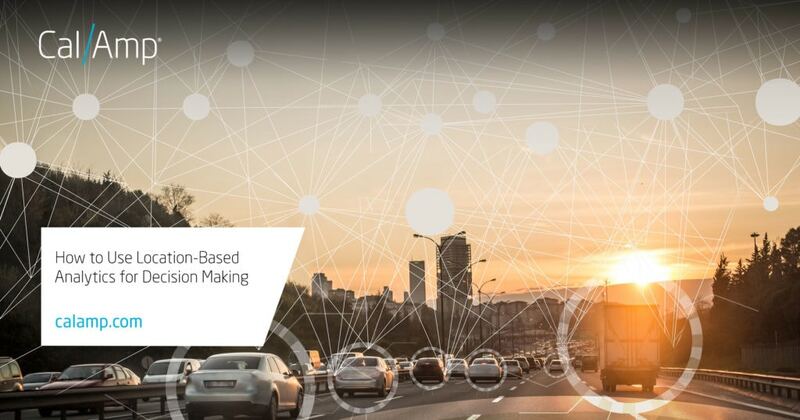 Recently, maps with up-to-date geographic information system (GIS) data, coupled with real-time intelligent vehicle telematics, have enabled location-based analytics down to the extremely localized level, enabling rapid business decisions for even day-to-day planning. GIS systems overlay business-relevant information onto a map, making it easy to spot how local features relate to business assets, transactions, and activity—revealing patterns that are easily overlooked without this visual cue. For example, ambulance companies in several cities have used location-based analytics to recognize and respond to patterns in emergency calls. Some trends are related to time of day—for example, calls are more likely to come from business areas during the day and residential areas at night—while others identify particular areas where response times or demand are markedly higher than the rest of the city. Using this information, dispatchers are able to stage emergency vehicles in locations that anticipate predicted call volumes, or place vehicles where traffic patterns will have the least detrimental effect on getting to a scene. Even for less urgent calls, location-based analytics can be just as effective. At one leading U.S. residential cleaning company franchise, missed appointments were a significant driver of customer loss. Although the franchise vehicles were equipped with navigation systems, it was up to the drivers to program each destination manually. The corporate office developed a proprietary on-time arrival system, which they integrated with CalAmp’s web-based commercial fleet management solution. Using location-based data, the franchise was able to improve scheduling, routing, navigation and field updates. The addition of a messaging system ensured that the office was able to communicate any schedule changes to personnel in the field immediately. Read the case study to learn more – access it here. Location data travels back from the vehicles as well, letting dispatchers see where the fleet is, which vehicles are idle, and who is closest to an unexpected call. Fleet managers can define boundaries or “geofences” around specific locations and receive alerts when a vehicle enters or leaves. This virtual designation helps keep tabs on vehicle dwell time at headquarters or other known locations, automates information about drive time between destinations, and can be used to detect vehicles leaving their prescribed service area. Location-based analytics uses a rich layer of information overlaid on a map to predict areas of demand and factors that make it easier or more difficult to fulfill that demand. With this information, organizations can improve customer satisfaction, optimize the use of resources—and in some cases, even save lives. For more information, visit our solutions page here. The CalAmp team will be at the Esri User Conference Expo July 10-12, 2018. Meet with us at booth #2219.